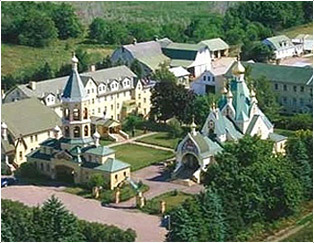 On Saturday, October 11, our monastery had the great joy of solemnly celebrating the memory of the Saints of the Kievan Caves Monastery. 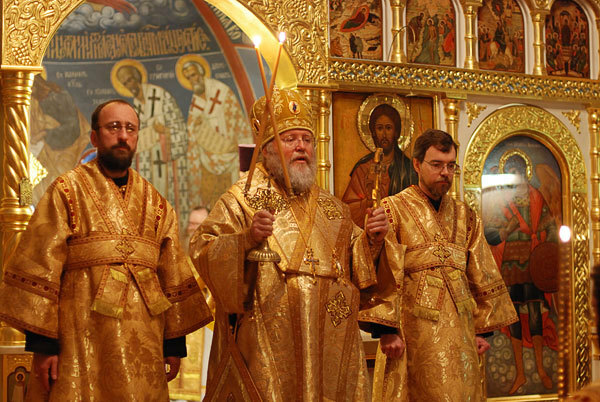 The services were presided by His Eminence, Metropolitan Hilarion, with the participation of many clergy. The Monastery is blessed to have a reliquary of many of the Saints of the Kiev Caves, whose presence serves as a reminder of the sanctifying grace that God bestows to those who serve Him in humility and truth. On the eve of the feast, Joseph McLellan was tonsured to the small schema by His Eminence, and received the name of the Holy Hierarch Joasaph, Bishop of Belgorod. On the following day Fr Joasaph was ordained to the dianconate. 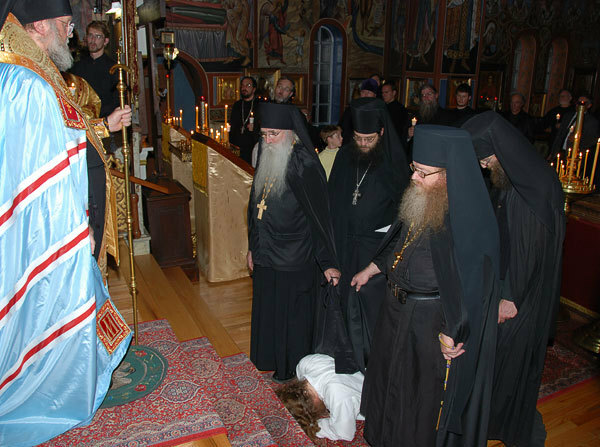 May our Lord Jesus Christ help the newly ordained hierodeacon Joasaph so that he serve the Church in piety, and may Saints Joasaph and the Saints of the Kiev Caves be to him a constant support and inspiration to attaining holiness.